Lutron, a global leader in lighting control, developed the Caséta Wireless Smart Bridge, which allows users to turn lights on or adjust shades from anywhere in the world. On vacation and want to make sure your house looks lived in? 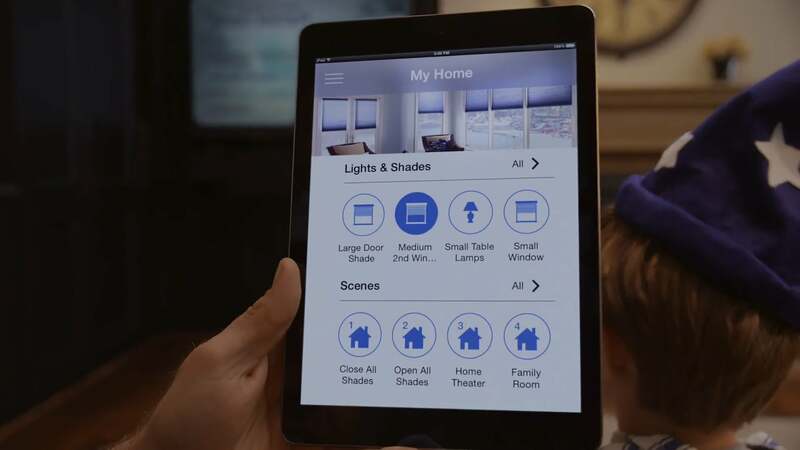 Flip on the lights and move the shades with the Lutron mobile app, powered by Heroku. You can even schedule your lights and shades based on time of day. The Smart Bridge can connect up to 50 wireless Lutron smart devices — dimmers and shades — to the Lutron mobile app for convenient control from your tablet or other mobile device. Lutron’s previous connected home solutions had been built on proprietary remote access technology, which were more costly to develop, deploy, and manage. In order make connected home solutions more accessible to general consumers, and to provide a superior, real-time experience through a smartphone or tablet app, Lutron turned to LogMeIn and Heroku. The LogMeIn Professional Services team leveraged LogMeIn’s Xively IoT Platform to provide proven and secure data connectivity among people, data, and devices around the globe into the Lutron Smart Bridge. They then built a Node.js application on the Heroku platform to provide remote connectivity into the platform from the Lutron mobile app, enabling consumers to control Lutron devices via the Smart Bridge from any iOS- or Android-based phone or tablet, from anywhere in the world. This new, non-proprietary remote technology system built on Heroku and Xively accelerated Lutron’s time-to-market by 50 percent. Development was faster and lower cost than before, and these savings could be passed on to the consumer, expanding the markets that Lutron could enter. Meanwhile they continued delivering a high-quality user experience for a product that can be set up in a few minutes, and controlled from the palm of your hand. Bringing Lutron’s smart lights and shades to the cloud was a natural step for Lutron. In a customer-centered world, companies need to innovate to deliver new and engaging experiences for their users, and Lutron has raised the bar with this new offering. The Lutron app controls Lutron dimmers, shades and Honeywell Wi-Fi thermostats both individually as well as via scheduled events that make changes automatically. Simply tap the light that you want to turn on or off or shade you want to open or close. You can create custom “scenes” that allow you to turn off all lights and close all shades when you leave the house with the tap of a button in the App. You can even create a “scene” that turns lights on automatically at sunset and turns them off at midnight to add security and comfort to your home. Does your company need help executing on an IoT strategy? Lutron’s Smart Bridge is a great example of awesome hardware delivering an awesome customer experience through an app. Check out the recent Salesforce1 webinar featuring both Heroku and Xively, 7 Steps to Success on the Internet of Things. For more information, contact Heroku today. Lutron is one of the world’s leading lighting control companies, with 17,000+ products for sale in more than 100 countries around the world. For more information, visit: www.lutron.com. Xively by LogMeIn, is a Silver Salesforce partner and Platinum Heroku partner across both HLS & manufacturing verticals. The Xively professional services team has over 10 years of experience delivering connected projects that drive business transformation and measurable ROI on the Internet of Things. For more information, visit: www.xively.com.